Do you like tortillas? Here is one super healthy tortilla recipe you can make it for breakfast on weekend picnic, for your business lunch or for dinner at your love nest … just select the occasion and enjoy it. Before preparing the tortilla,spread it with olive oil. 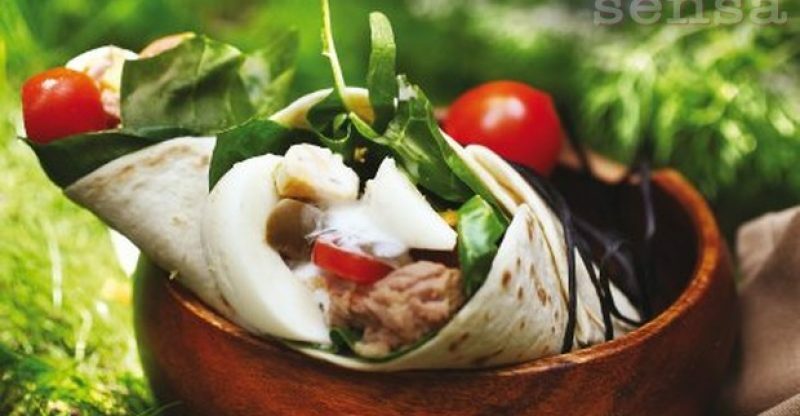 In the middle put spinach, chunks of tuna fillets, olives, eggs, tomatoes and wrap it. Mix well all the ingredients for the sauce and let it sit for a bit. Rolled tortillas and pour the sauce.